The package contains various optimization methods for matrix-to-matrix Lasso inference, such as cross-validation, randomised lasso, subsampling lasso etc. It is specifically designed for multicollinear predictor variables. 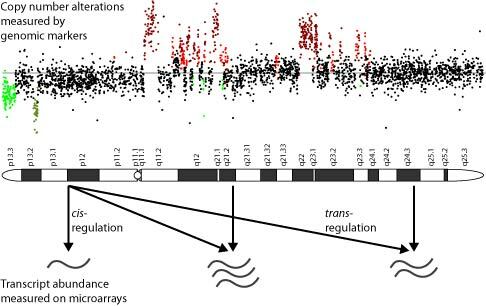 Therefore, lol is particularly suitable for association study to delineate the trans-regulation relations between DNA copy number abberations and RNA expression levels.